Both shows were cut using altered and from scratch patterns. 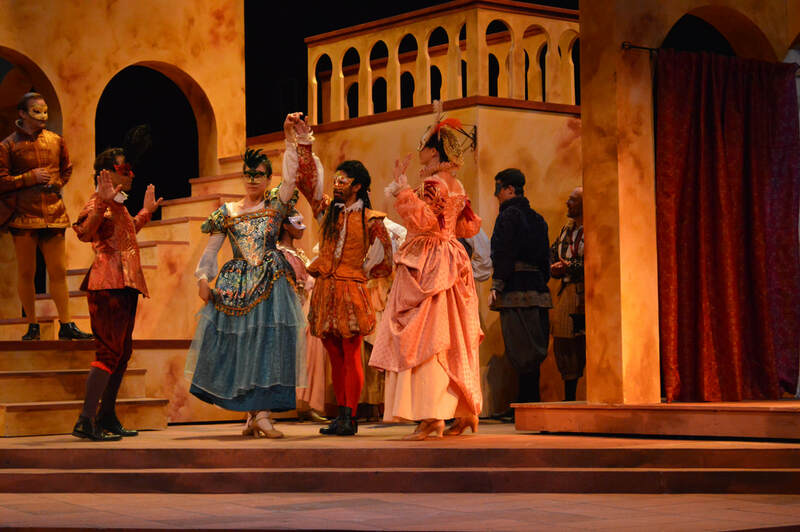 Many of the costumes for the Capulet's ball in Romeo and Juliet were created from original patterns as well as altering existing pieces created the year before for All's Well That Ends Well. These ball costumes were inspired by the masque designs of Indego Jones. The leather doublets and suede tunics for the armies in Cymbeline were customized to each actor from a common pattern created from other reference materials. 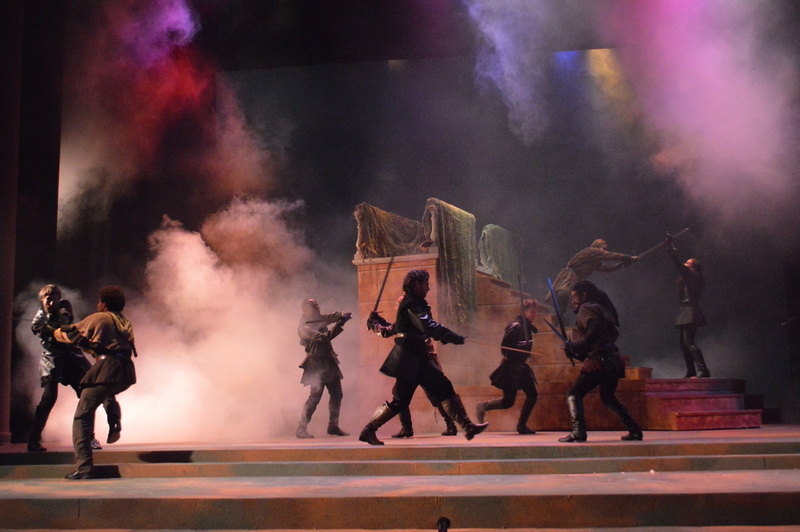 Cast of Cymbeline in battle.